The current EU regulation on fluorinating greenhouse gases has been in force since 2015. This means that it has been decided to gradually restrict the quantities of partially fluorinated hydrocarbons available on the market until 2030. Operators and manufacturers of refrigeration systems are now clearly aware of the consequences of this legislation. Not only has the availability of traditional refrigerants fallen significantly, but the demand for future-proof systems using natural refrigerants has also risen significantly. LAUDA Heating and Cooling Systems, the industrial division of the world market leader for temperature control units and systems, has been working intensively on this topic for more than five years - and recently manufactured a process cooling system with a two-stage cooling cascade and natural refrigerants for temperatures down to -60 °C for a biopharmaceutical company in Germany. The globally active customer, one of the largest research-based pharmaceutical companies in Germany, has ordered a process cooling system from LAUDA Heating and Cooling Systems. The system is used for so-called Freeze & Thaw processes, in which active ingredients are deep-frozen in large tanks of up to 200 l volume and shipped for further processing. 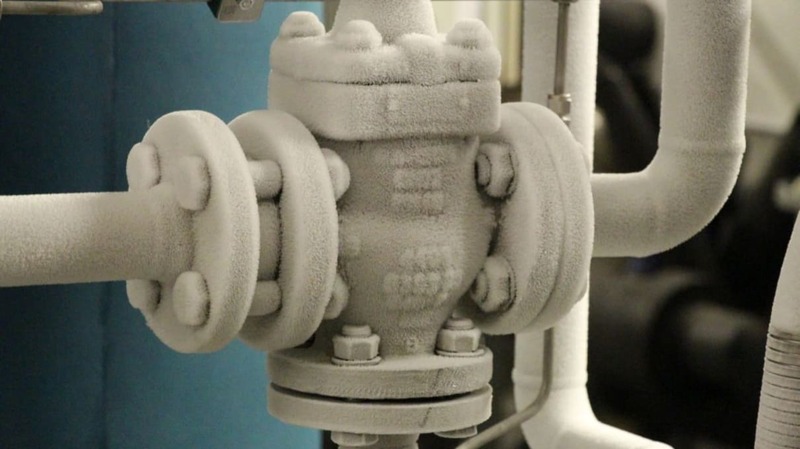 The process cooling system must therefore be able to cool down to -60 °C with high precision. In close consultation with the customer all specifications of the process cooling system were defined and the individual components were designed during the pre-engineering process. The customer's factory specifications also had to be taken into account, such as the use of instrumentation from certain manufacturers. The process cooling system is designed for two tanks, each with a cooling capacity of 2.2 kW. The system is also equipped with a volume flow control system to make the entire process reproducible for the customer and to safeguard it at all sites. In order to achieve the required working temperature of -60 °C, the LAUDA engineers rely on a two-stage cascade system. Two interconnected and coordinated compressor systems provide the required temperature by the evaporator of the first circuit cooling the condenser of the second circuit. This intelligent combination of several cooling circuits allows low temperatures down to -90 °C to be reached. In order to guarantee future-proof operation, the plant for the pharmaceutical company is operated with natural refrigerants. LAUDA uses flammable refrigerants such as ethane and prophene for this purpose. The use of these gases in turn places special demands on the system. From a filling quantity of 150 g combustible gas, the use of a special gas sensor is mandatory, which monitors the tightness of the refrigeration circuits and switches off the process cooling system in case of danger. In addition, the entire refrigeration system is equipped with a ventilated housing to keep air exchange as low as possible. In the event of a leak, a fan ensures sufficient negative pressure and reliable ventilation to the outside. 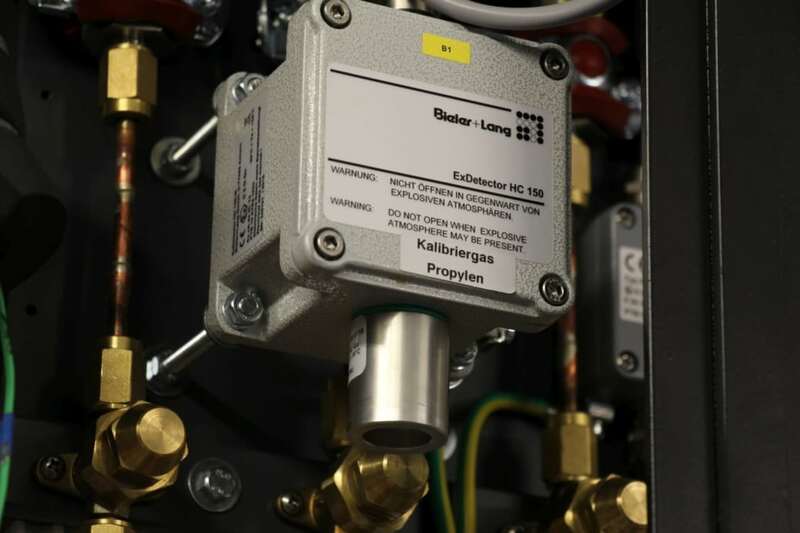 LAUDA heating and cooling systems only use components and safety technology approved for the refrigerant in question, strictly in accordance with DIN EN 378. Each step of the project was closely coordinated with the client. The use of natural refrigerants does not have any disadvantages for the customer. Refrigerants from the range of hydrocarbons are inexpensive and, from an energy point of view, often more efficient than conventional F-gases or synthetically produced substitutes. For the engineers and designers of LAUDA heating and cooling systems, process cooling systems of this kind are an important step into the future. The demand for industrial solutions with natural refrigerants will continue to rise as the shortage of traditional refrigerants increases. At LAUDA, we are committed to our tradition as a modern family company.